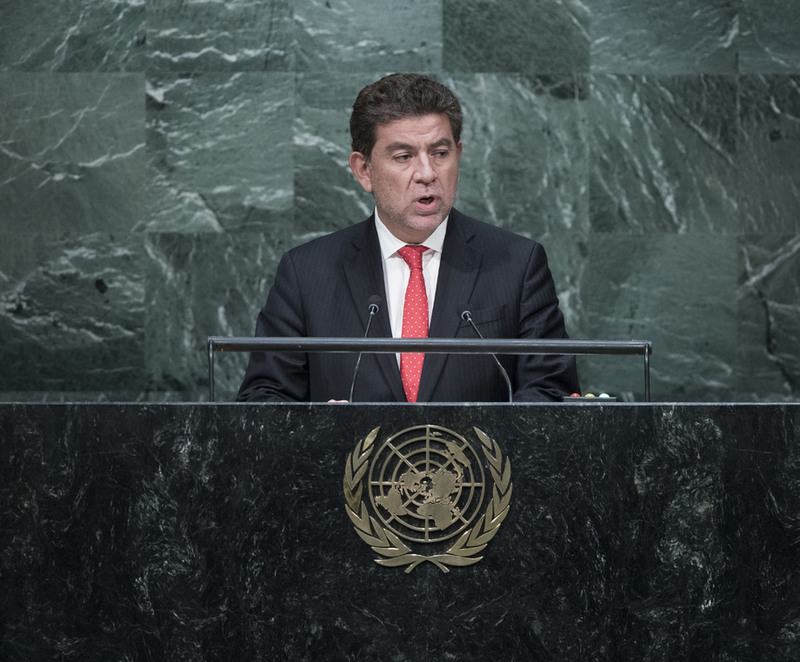 GUSTAVO MEZA-CUADRA (Peru) said that the United Nations continued to achieve progress for mankind over the past 70 years of its existence but those achievements had not necessarily reached everyone equally. With the adoption of the Sustainable Development Goals last week, mankind had a universal instrument over the next 15 years to eradicate poverty and protect the plant without leaving anyone behind. Social inclusion was crucial. The most vulnerable groups, such as indigenous peoples, people with disability, the elderly and migrants, must be included. Governments must increase budgets for social inclusion, particularly in education, health and gender equality. On climate change, he called for a well-balanced, binding agreement at the upcoming Climate Conference in Paris. As current president of the conference, his Government would spare no effort toward that end. He commended Colombia for its reconciliation efforts with the Revolutionary Armed Forces, and welcomed the re-establishment of diplomatic relations between Cuba and the United States, urging the latter to lift its economic blockade on the former. He also called for a two-State solution to the Israel-Palestine conflict. His country respected the rule of law and the universal jurisdiction of the International Criminal Court must be recognized to combat impunity. On Syria, he said that the Security Council must change its composition and its rules governing the use of the veto. For the first time, Peru was sending a team of military engineers to the United Nations Multidimensional Integrated Stabilization Mission in the Central African Republic (MINUSCA). His country was also combating the drug problem by promoting alternative crop cultivation to farmers. He advocated for arms trade regulation, disarmament and non-proliferation, saying development could not happen without peace.